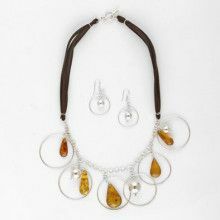 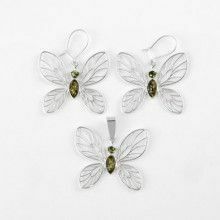 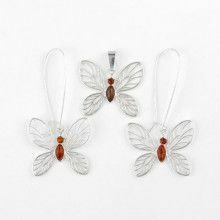 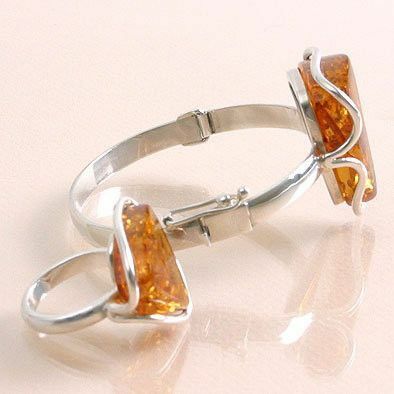 This contemporary style of this honey amber bracelet and ring set is very fashionable. 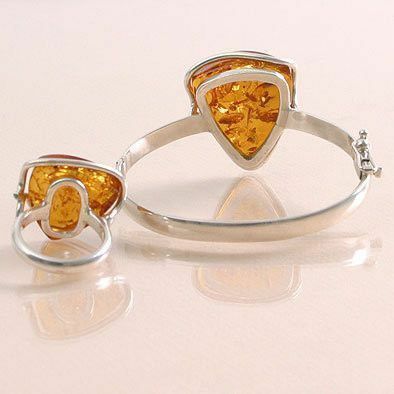 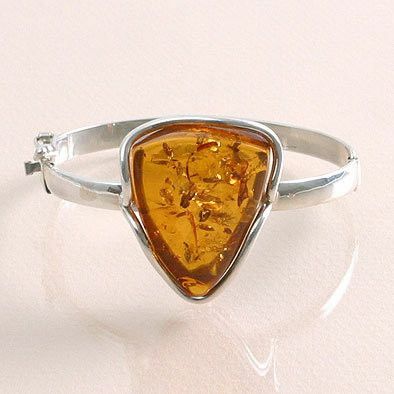 Sterling silver cuff bracelet is adorned by honey amber triangular shape cabochon 1 ¼" by 1" in size. 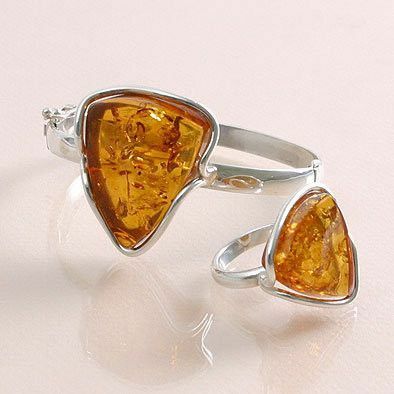 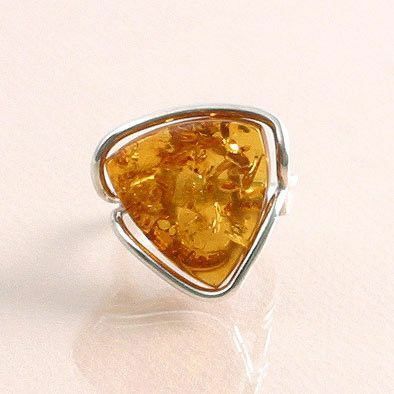 The ring echoes the design of a bracelet with amber cabochon 1" by 1" in size.